Idlis are considered one of the healthiest Indian breakfast dishes out there. The round fluffy idlis are prepared from a rice batter that also contains groundurad dal. The batter is put in molds and steamed until it rises. It is served hot with freshly prepared sambharcurry, and chilled coconut and garlic chutneys. Idlis are light on the stomach and filling. They are delightful to bite into and can brighten up even the most hectic mornings. 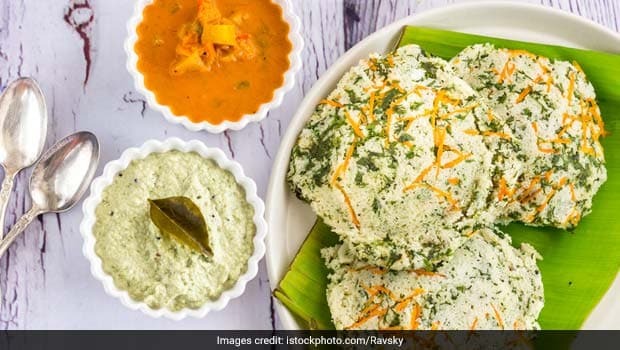 The appeal of the idli goes far beyond its taste- it makes for a great low-calorie meal as well, making it a favourite with health freaks and those who are watching their weight. However, idli may not provide you with requisite amount of fibre that an ideal healthy breakfast should have. Fibre is an essential nutrient for the body, as it keeps you satiated for longer and also regulates blood sugar levels. Fibre-rich foods and dishes keep hunger pangs at bay and if you’re looking to lose weight or control excessive snacking then you should be consuming a high-fibre breakfast. 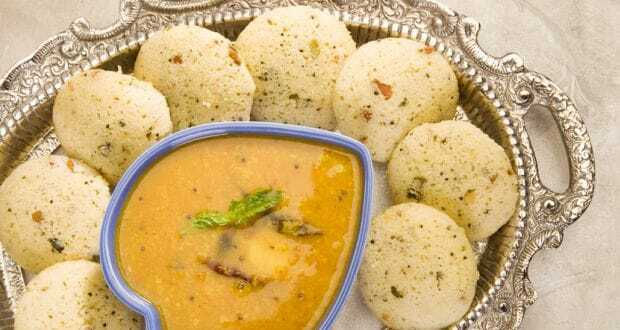 If you love eating idlis for breakfast, there are some easy ways to make them more filling by adding some fibre-rich foods to them. Add vegetables like peas, broccolis, chopped bell peppers etc. to your idli mix to make your breakfast more fibre-rich. Broccoli is low in calories and rich in high quality fibre as well as antioxidants and vitamins. Adding it to your idli mix can also enhance taste, make them crunchier and more diet-friendly. 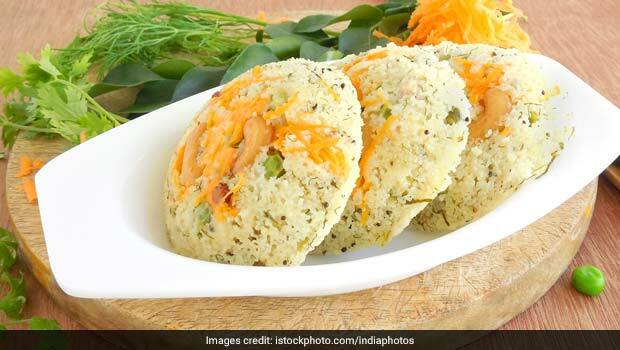 Check out our recipe of stuffed vegetableidlis. Rice flour that is usually used to make idlis is rich in starch. A healthier way to prepareidlis is to make your batter fibre-rich by adding whole grains like ragi or finger millets and oats to it. Ragi is said to be a great diabetes-friendly whole grain and it is extremely nutritious. Similarly, oats are the perfect breakfast foods as they are very rich in good carbs. Take a look at our recipe of oats idli. You can add a lot of crunch, taste and fibre to your idlis by throwing in chopped nuts and/or seeds to your batter. You can also blitz some almonds and cashews and then add the paste to your batter, to make it more fibre-rich. Nuts and seeds are rich in essential vitamins and minerals, as well as good fats, proteins and fibre. Adding them to your breakfast idlis is a sure shot way of loading up on some good carbs.